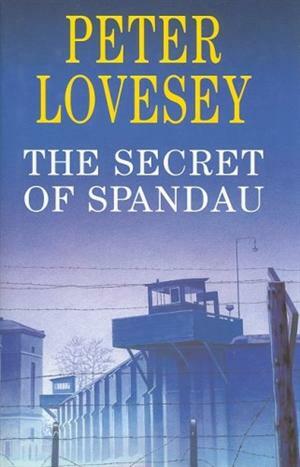 by Peter Lovesey | Literature & Fiction | This book has not been rated. Peter Lovesey is the author of 26 highly praised mystery novels and has been awarded the CWA Gold, Silver, and Diamond Daggers (for Lifetime Achievement) as well as many US honors. He lives in West Sussex, England. Average Customer Review: 5.0 out of 5 stars (2 customer reviews)"
Thanks for checking the site out. I hope you enjoy both the book and the site. People all over the world are tracking their books through BookCrossing. While you're here, I'd really appreciate it if you'd make a journal entry for this book so I know that it's safe. You may choose to remain anonymous or to join (it's free). If you do decide to become a BookCrosser please consider using me, Davros-10, as the member who referred you. If you are already familiar with BookCrossing, thanks for picking up the book, I hope it is one you were looking for! Please feel free to keep this book for as long as you wish, and whenever you're ready pass it on to a friend, or leave it "in the wild" for someone else to find. Then watch its journey - you'll be alerted by email each time someone makes a new journal entry. It's all confidential, free and fun (and addictive - but in a GOOD way)! Put in the Little Free Library near the Food Court in Toombul Shoppingtown.